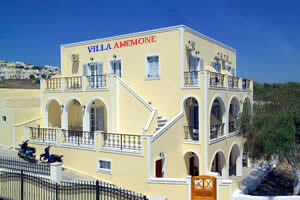 VILLA ANEMONE is located at Fira, capital of Santorini, 600 meters from the main square , in very quiet area . 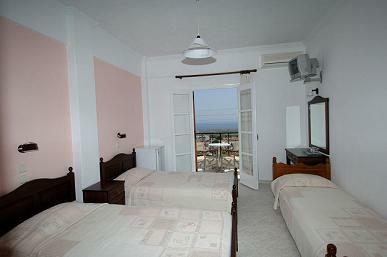 With our hospitality you will feel as nice as on your house. From your balcony you can enjoy the view to the run rice and to our beautiful Aegean. 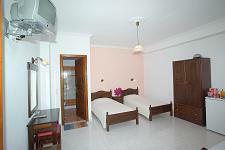 In area of the swimming pool you can to relax and to enjoy the sun. We wish you to have a pleasant time on our place. We offer free transfer with our Mini Bus from the port and airport. 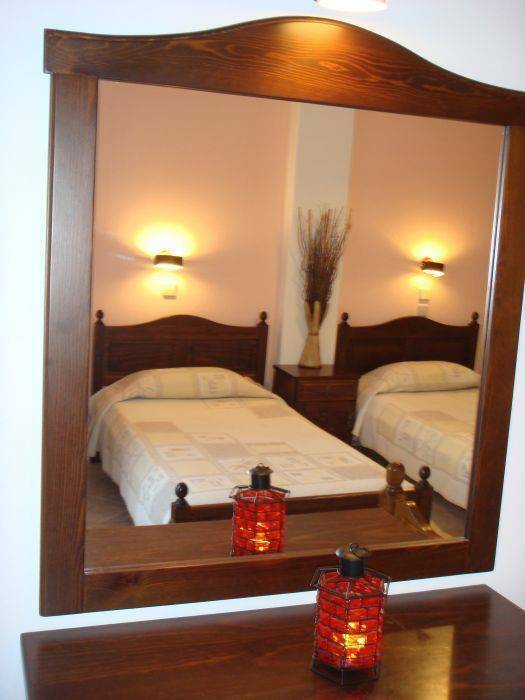 We are just 10 minutes (walking distance) from the bus station (main), also 10 minutes walking distance from all travel offices, mini-markets, shops, restaurants etc. Bookings cancelled 15 or more working days prior to your arrival date, no cancellation fees apply. Bookings cancelled 15 to 1 days prior arrival, 50% charge will incur. No Shows will incur a charge equivalent to full cancellation fees. You may cancel your reservation without penalty up until 15 days before your arrival date, by accessing the Your Reservations page.